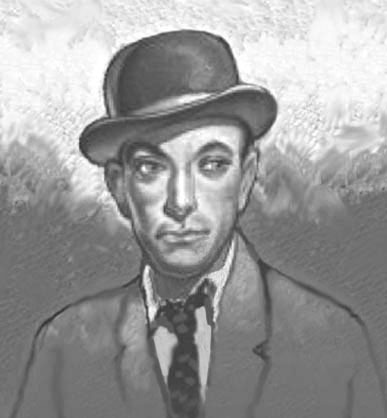 Charles Louis McCann was born June 20, 1905 in Cleveland, Ohio. His father, William F. McCann, was a railroad foreman, born 1870 in Ohio of Irish ancestry. His mother, Emilie Weis, was born 1874 in Germany. She came to America in 1882 with her mother, who was also named Emilie Weis and was born 1843 in Germany. His parents married in 1897 and had three children. His sister Tresa was born 1899 and his brother William was born in 1902. They lived at 9507 Benham Avenue in Cleveland. During the Great war he was too young to serve in the military, at which time he was a middle-school teenager. In 1920 his father died at the age of fifty, after which the family moved to Lakewood, on the western side of Cleveland, where they lived at 1364 Cook Avenue. In June of 1923 he graduated Lakewood High School. 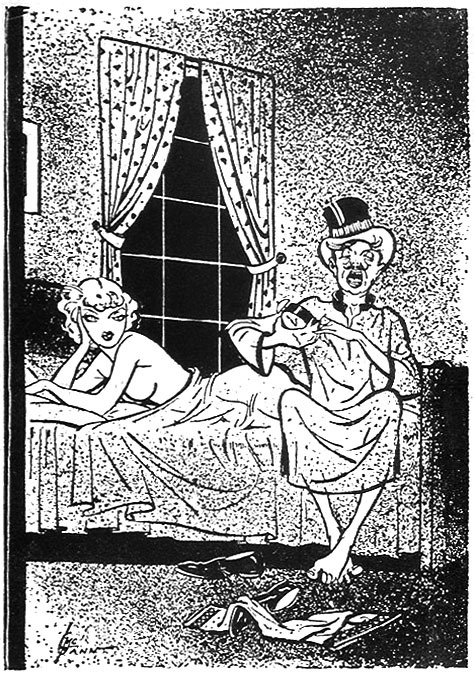 In 1925 he attended the Cleveland School of Art, where he studied illustration with Willard Wetmore Combes (1901-1984), who also worked as a newspaper cartoonist on The Cleveland Press. In May of 1929 he graduated from The Cleveland School of Art and received the F. C. Gottwald travel scholarship to study art abroad. That summer he sailed to Europe and visited France, Italy and Germany, and then settled in London to study one semester at The Slade School of Art. After considering a trip to explore his ancestral roots Ireland, he finally decided to return to America. On Febraury 26, 1930 he sailed on the S. S. Berengaria from England and arrive in New York City on March 4, 1930. After one month he left Cleveland and moved to New York City, where he was listed as a "Professional Artist" at 34 West 50th Street in Manhattan. 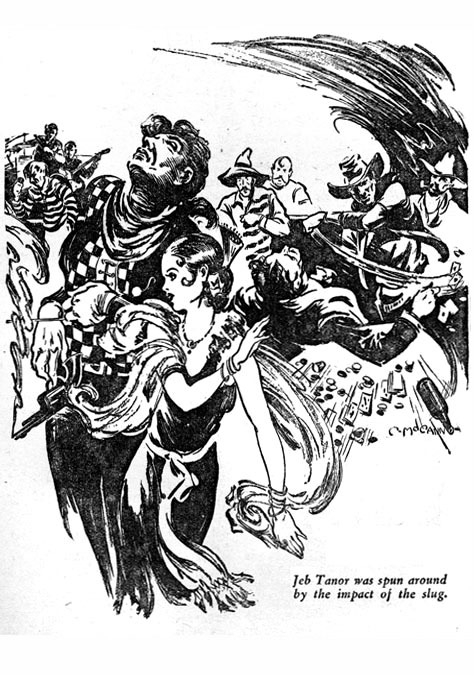 In 1932 illustrations by Charles L. McCann first appeared on covers of Paris Nights. 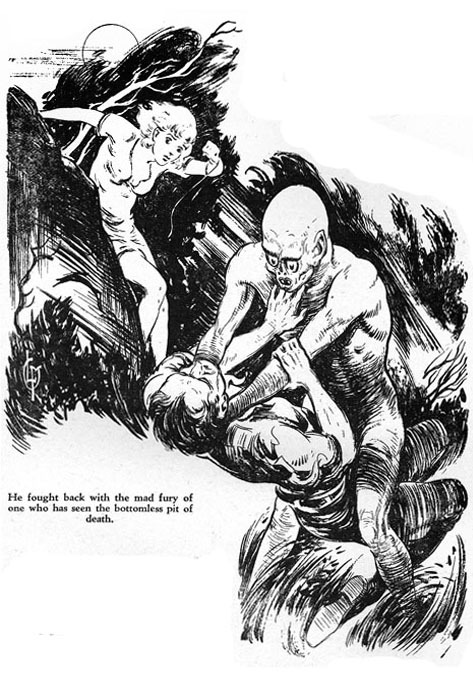 In 1935 his work appeared on pulp magazines published by Lincoln Hoffman, such as Greater Western Magazine and The Gang Magazine. 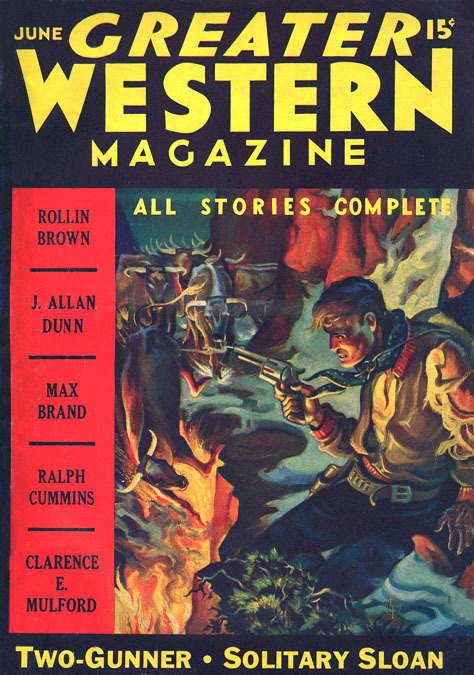 His pen-and-ink story illustrations appeared in Thrilling Western. 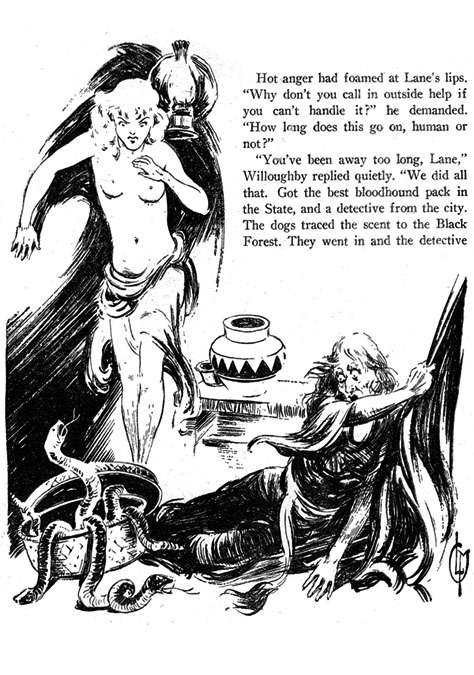 For the next two years his pen-and-ink story illustrations appeared regularly in Spicy Mystery. These were often signed with a clever design of interwoven initials "CLM." 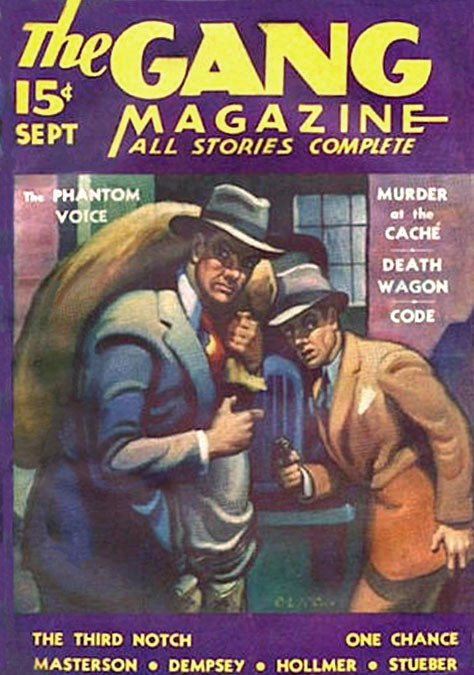 Spicy Mystery was produced by Harry Donenfeld, who also produced a larger-format magazine, Easy Money, the May 1936 cover of which was painted by McCann. 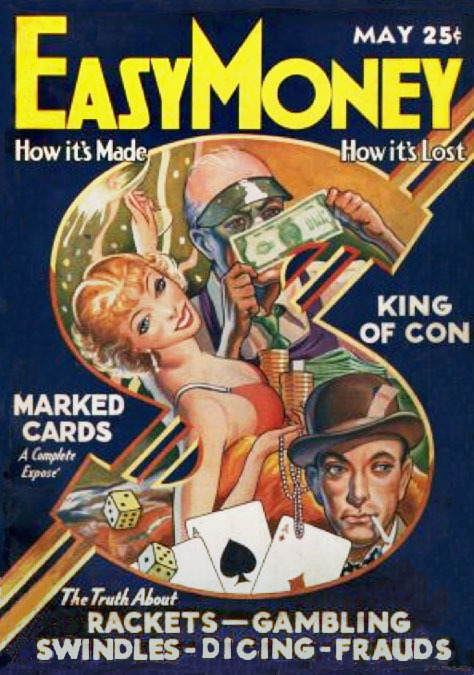 Only five issues of Easy Money were produced. 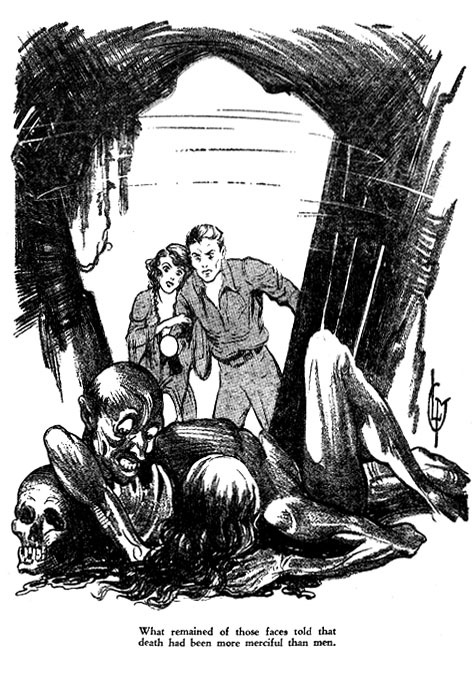 Donenfeld's top cover artists Harry Parkhurst and H.J. 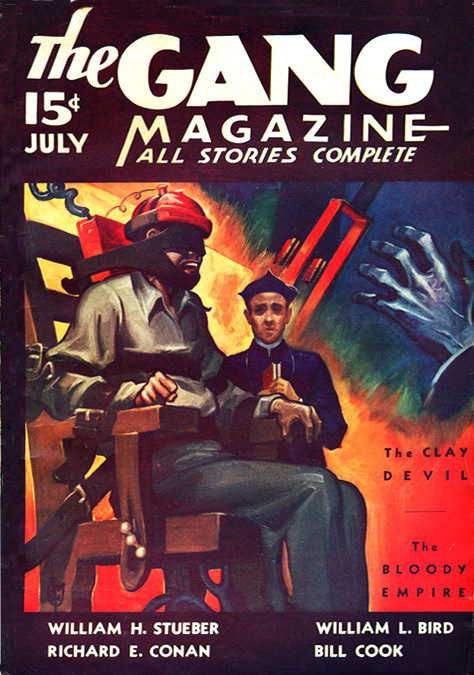 Ward each painted two of the other four covers of this short-lived magazine. 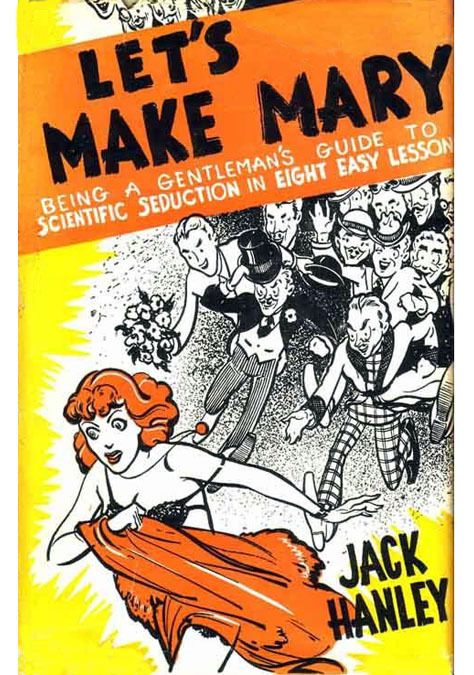 In 1937 Charles L. McCann illustrated a saucy hardcover book, Let's Make Mary by Jack Hanley, a "gentleman's guide to scientific seduction in eight easy lessons." It was published by Phoenix Press, which was also affiliated with Donenfeld. 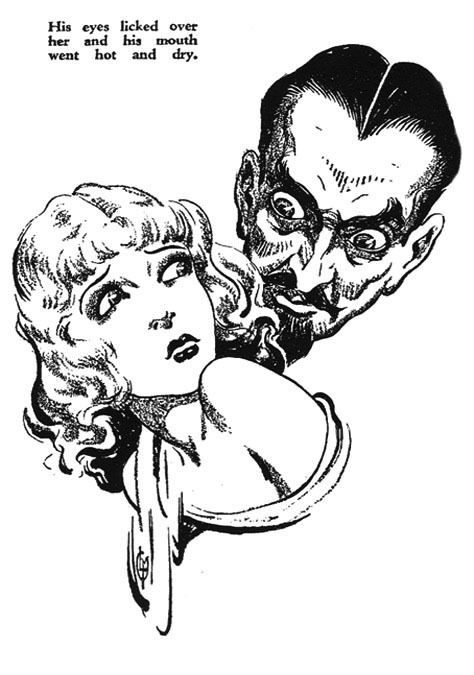 According to the dust jacket blurb, "Charles L. McCann, the illustrator, has progressed from scholarship student abroad to portrait painter, sculptor, figure painter, art instructor, commercial artist and illustrator. Originally from Cleveland, Ohio, he is now firmly settled in Manhattan." 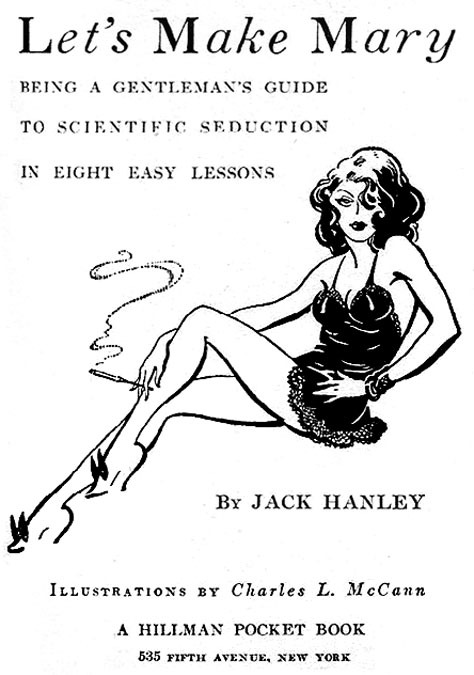 According to the author, "We worked in such a close association to coordinate drawings and text for this book that we were no longer known as Chuck McCann and Jack Hanley, but by the collective title Juck McCanley, which should give you some idea..."
In 1939 he returned to Ohio and settled in Cincinnati, where he taught Commercial Illustration at the Art Academy of Cincinnati. By 1941 he was the Chairman of the department. On December 3, 1942 he enlisted in the Army and served during WWII. He was recorded to be five-six and 148 pounds. He was honorably discharged on December 18, 1943. After the war he returned to Lakewood, Ohio, where he married. 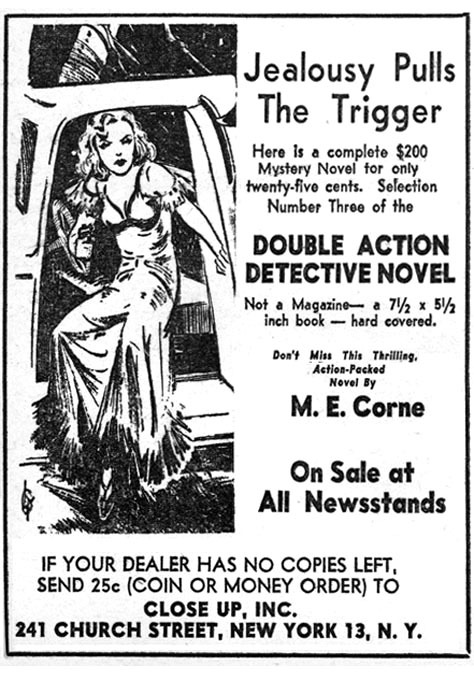 In 1944 his story illustrations for pulp magazines appeared in Double-Action Detective Novels, published by Blue Ribbon. These may not have been new post-war creations, but instead may have been derived from pre-war illustrations. 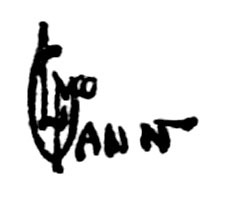 Charles L. McCann died in St. Vincent Charity Hospital in Cleveland, OH, at the age of sixty-two on November 25, 1967.